Hard water describes the extent to which various minerals are dissolved in water. What is Hard Water in swimming pools? Hard water can be described as any water containing dissolved minerals, mostly calcium and magnesium ions. Once the water reaches its saturation point, the water can no longer keep all the minerals in solution, and these excess ions begin looking for surfaces to attach themselves. Hard water does not directly cause a health risk to human beings, but the key problem is mineral buildup in water pipes and equipment reduce water flow and filtering performance which can prevent systems from keeping water clean and safe. Calcium hardness and total hardness are relevant hardness levels swimming pool owners should be aware of. Calcium hardness is the measured quantity of calcium carbonate in swimming pool water. Total hardness is a combination of calcium and magnesium hardness. Calcium hardness the most common swimming pool hardness test, as magnesium hardness does not affect pool water quality as much as calcium hardness. 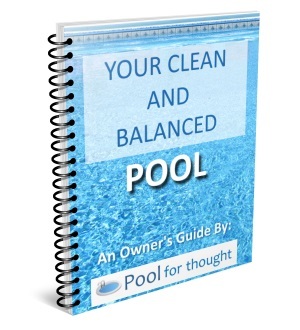 Swimming pools need to have a balanced level of hardness, as water should not be too hard or too soft. Too soft, and the water is capable of corroding metal, concrete, and masonry surfaces. Too hard, and pool water can scale pool surfaces and equipment.